I wrote a post about the 5 Unique Things You Can Do Using (Only) Nokia N900 in May. Today I’m gonna show you another 5 to make it a total of 10 unique things you can do with Nokia N900. I have no idea how I left this out in my previous post. I should have included this in my first post. 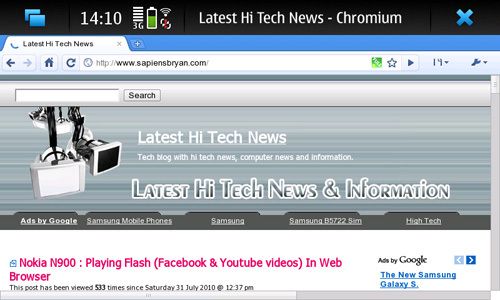 On top of the above 3 browsers, the default web browser of Nokia N900 is capable to load Flash content such as Facebook and Youtube videos right inside the web browser itself. Don’t you just hate it when you see the following picture while surfing on the Internet using Nokia N900 or any other phones? 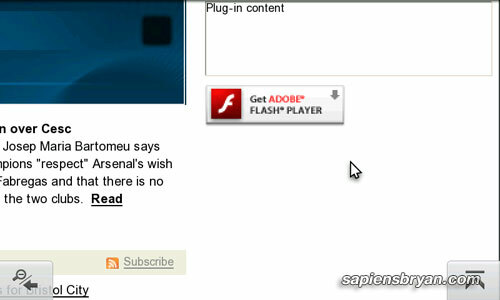 Well, no more frustration as I’ll show you a trick to play flash right in the web browser of your Nokia N900. This trick works for many sites, including Facebook and Youtube videos. 1. Search for the above application in Application Manager and install it. 2. Launch the application once you’ve installed it. 1. Search for rootsh in Application Manager and install it. 2. Open X-Terminal and type sudo /usr/bin/tweakflashver then hit Enter. This command will launch the Tweak Flash Plugin Version application. 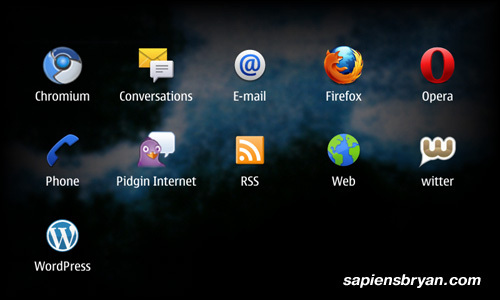 If you think this trick is useful, please feel free to share it with your friends who are using Nokia N900 as well. I was totally addicted to this 3D racing game, Asphalt 5, and was playing it everyday on my Samsung Galaxy S since last week. 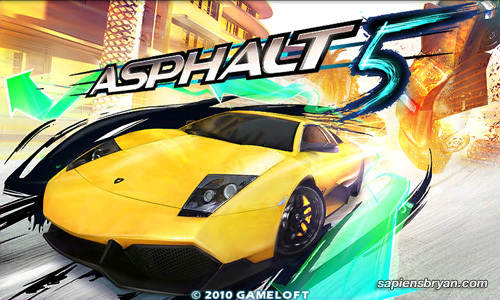 The full version of Asphalt 5 is available for download in Samsung Apps at no charge. I thank Samsung for giving it free to all the users of Samsung Galaxy S. Anyway, this 3D racing game is priced at US$4.99 and is available at the developer’s site, GameLoft.com. Quick race – Pick a racing venue and practice. No monetary reward in this mode. Career – Complete a race to advance to a higher level. You’ll win some money in each level to buy cars and accessories. New cars and girls will be unlocked in different levels as well. Multiplayer – Race with other player(s) of Asphalt 5 via WiFi connection. The 2-week Maxis10 review programme of Samsung Galaxy S is coming to an end tomorrow, so I’m wrapping up all the reviews that I’ve done so far. You may find all interesting reviews from the reviewers using the hashtag #Maxis10 in Twitter. Some important aspects of Samsung Galaxy S that you might want to know. This post showing you how to use the TV Out feature of Samsung Galaxy S. You’ll find it very useful. My review of the 5-megapixel camera of Samsung Galaxy S. Plenty of pictures and a video showing you how to snap panorama picture using the phone. A sample of High Definition (HD) video I took using the phone. A series of extensive tests on the battery life of Samsung Galaxy S. You’ll find the answers to battery performance of the phone under extreme usage. A simple reception test on Samsung Galaxy S to check whether the phone will suffer the same significant signal lost like the iPhone 4 under normal holding, tight grip or using the finger tips. One thing I want to stress is that no phone is perfect, but there will be a phone that is perfect for you. If you are interested in getting the phone, go to the nearest Maxis Center and check out the phone. They are having a promotion right now offering you the phone at only RM1,699 under 1 year contract. The normal price without contract is RM2,599. Now good luck to all fellow Maxis10 reviewers. Phone signal lost is a very hot topic these days after iPhone 4 was tested to have such problem due to its antenna design. As we known that the antenna of Samsung Galaxy S is located at the bottom of the phone, below the battery. So, we might have a concern that the phone may suffer the same significant signal lost as the iPhone 4. 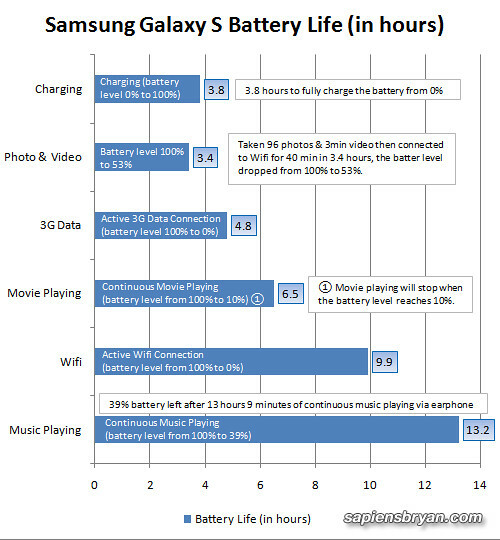 A few friends, blog readers and twitter followers asked me about the battery life of Samsung Galaxy S in the past few days. Me too was interested to know what is the battery performance under extreme usage. Besides, I’m sure potential customers would like to see some statistics so that they can stop wondering about the battery performance of Samsung Galaxy S.
* Just added 1 more Music Playing (Test 5).